You do not have to own tons and tons of books or even be a grownup to organize your own book drive. BookEnds works with over 20,000 kids every year who run student book drives. It does not matter if you are 4, 14, or 74 years old, you can help get books to eager and needy readers. But there are a few things you’ll need to think about. 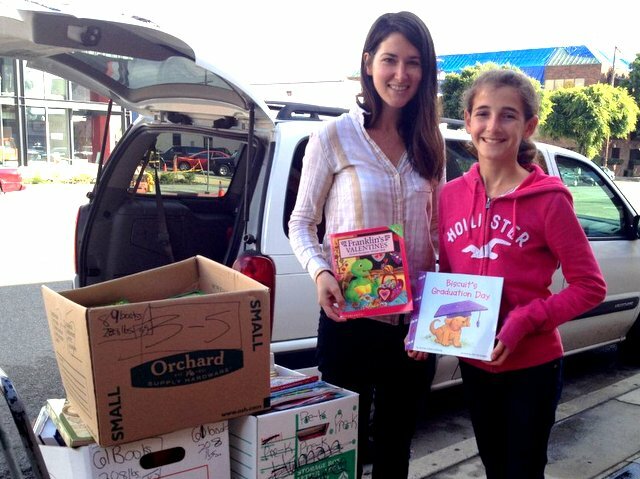 Student volunteers in Los Angeles, California, in the United States organize a book drive. Before you begin, ask yourself what would my life be like without books? Would I use fewer words? Would I know less about important historical events and scientific discoveries? Would I think differently and have a different perspective? Would I be less imaginative? Answering these questions can help you decide why you want to make a difference and can help you inspire your friends and neighbors. To begin, set a goal for the number of books you want to collect. Dream big! You will probably realize that the number of books you want to collect is bigger than the number of books you own, so you will need some support. Reach out to as many people as possible. Tell everyone what you are doing, and ask for their help. Evangelize! Advertise! If you collect books by yourself, you may collect enough books to supply a classroom full of children with exciting new reading material. With the help of your friends, who knows? You may collect enough books to fuel the imaginations of an entire school in need of books. Once you have finished collecting books, you only have a couple more steps. You will want to sift through the books in your collection pile and make sure they are all appropriate books to donate, and, of course, you will want to COUNT THEM! Regardless of whether you meet the goal you set for motivation, it is a great feeling to know how many valuable resources you will be providing to improve literacy! Finally, take a breath. Give yourself a high-five, a wink or a pat on the back. Use your imagination to see your books placed in the hands of others who really need them. Realize how simple it is to make a difference. We are planning to have a book drive.can your elaborate how it is done for beginners.